Nelson Mandela and Martin Luther King Jr., Steve Biko and Huey P. Newton. Robert Sobukwe and Malcolm X. African liberation movements and the American civil rights movement, and their corollary of Black Consciousness have mirrored and borrowed from each other for years, forging connections between the US and the continent that most people either aren’t aware of or choose to ignore. Kwame Nkrumah, in his vision for Ghana's independence, borrowed a lot from Marcus Garvey's thoughts on Pan-Africanism, which were in turn taken on by many African countries in their independence movements. Over time, however, Pan-Africanism has been diluted and taken on multiple meanings. Politicians like Thabo Mbeki called for “economic Pan-Africanism,” leaders like Robert Mugabe and the late Muammar Gaddafi sought “political Pan-Africanism” and the proponents of the Negritude movement engaged in what one could call an “intellectual Pan-Africanism.” The point is, ideals of Pan-Africanism have intertwined black people everywhere for a long time, and this has not always been for the better. In our day, social media has become a platform for the sharing of content, ideas and movements. There’s a new kind of black experience, where we - via Twitter, Instagram, Tumblr and the like - are connecting with each other, and with this hyper-exposure we’ve been forced to grapple with ideas about what it really means to be black. Siyanda Mohutsiwa in her TedTalk coined the term “social Pan-Africanism” to indicate this sense of interconnectedness, particularly on the interwebs. And although she meant it in a distinctly positive sense, the flip-side is that “Africa” ceases to be a real place with real people, and instead becomes a romanticised, exoticized entity. We latch onto this new version of Pan-Africanism without stopping to think about its implications. 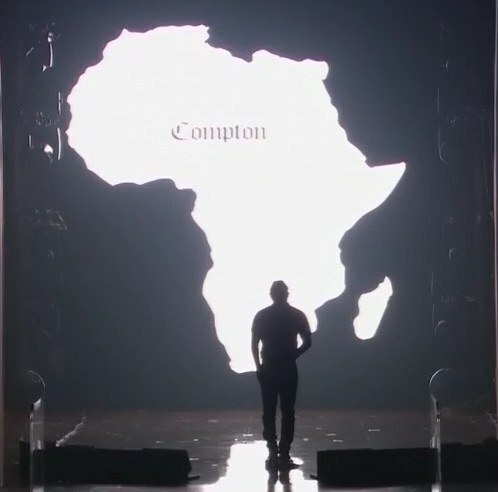 Festivals like Afropunk try to cash in on this new sense of shared identity, and artists like Beyonce and Kendrick Lamar embrace it in their music videos and performances, all the while refusing to tour on the continent or really try to gain an understanding of all the symbolism they like to employ. This has often erupted in heated debates, such as the whole debacle aboutBlack Americans appropriating African culture sparked by Zipporah Gene, which tend to spiral unnecessarily into oppression Olympics. 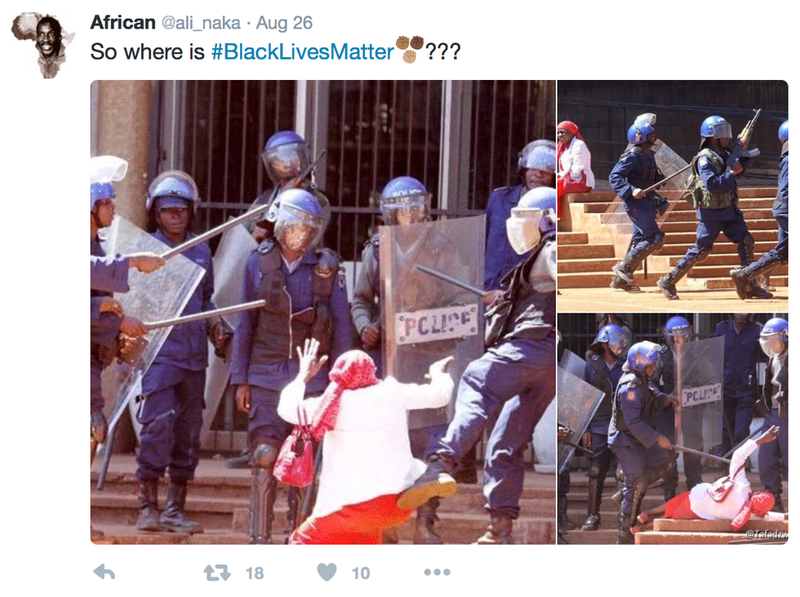 Most recently, however, this issue has been apparent in the parallels between the #BlackLivesMatter movement and movements on the continent like #ThisFlag. #BlackLivesMatter has been a force to be reckoned with for a while now. 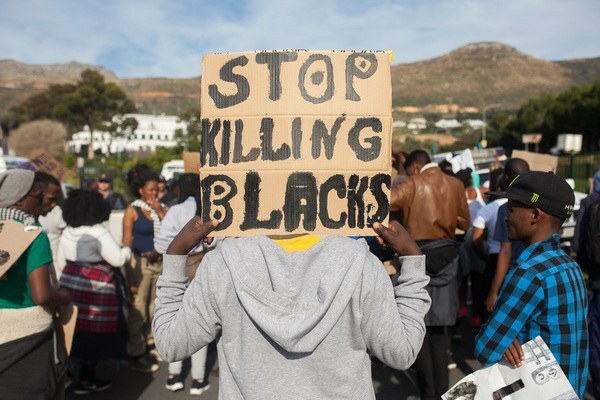 Sparked by outrage at the murder of Trayvon Martin by George Zimmerman in 2012, the movement has been bringing awareness to and resisting the modern day genocide against black people in the United States. 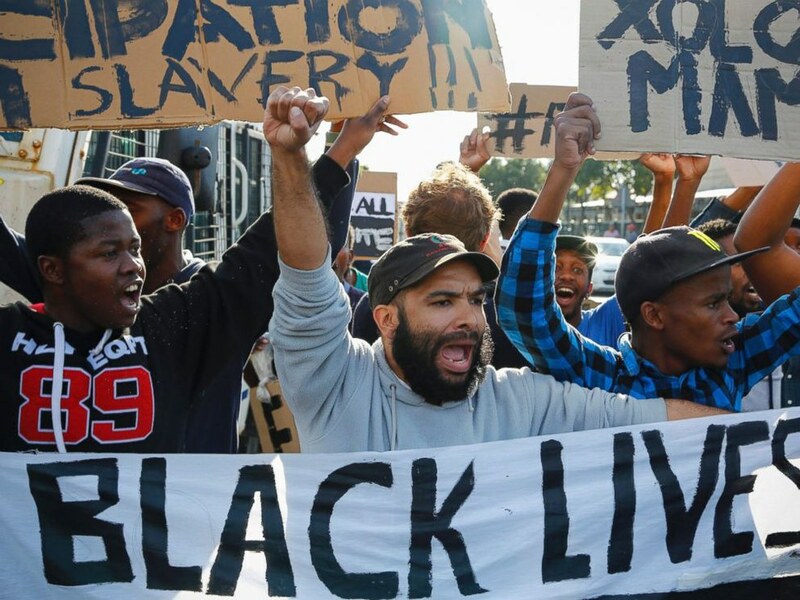 Protests against police brutality and systemic racism have gained so much traction that #BlackLivesMatter has received solidarity from all over the place - including the continent. Ryan Lenora Brown interviewed South African students for an article in the CS Monitor, and wrote about a student activist who said “We are lamenting the same pain we are feeling with them. We are here to send the message that black lives matter everywhere in the world.” Africans have taken on the Black Lives Matter movement, in the spirit - I would argue - of the social Pan-Africanism that Siyanda Mohutsiwa speaks of. The problem, however, is a profound lack of reciprocity. 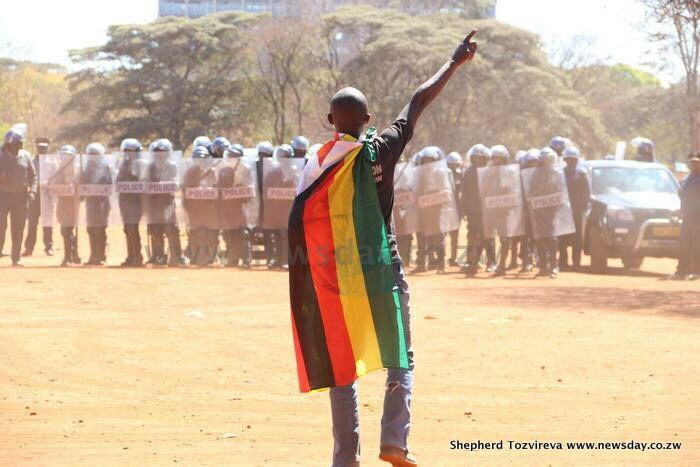 The #ThisFlag movement of Zimbabwe was born in much the same way #BlackLivesMatter was - it’s a movement of the people, protesting unjust systems that have been in place for too long. Pastor Evan Mawarire, “through his social media movement... has been backing a stay-away campaign this month to protest about perceived corruption and economic mismanagement” (BBC News). When police arrested him on trumped-up charges and he was likely to disappear mysteriously into the bowels of the judicial system, when police were beating old women in the streets for carrying their flags, when people were assaulted for staying home from work in protest, Zim Twitter’s outrage spilled into the streets and held the justice system accountable for its actions, ultimately resulting in Pastor Evan’s release. Africans all over the continent, frightened for loved ones and angry at the state of affairs, jumped onto the hashtag, raising a complete ruckus. But there was a blanket of silence from African Americans. In the week of the climax of the #ThisFlag movement, I would scroll through my Twitter TL and nobody outside of people directly affected was talking about it. Ditto with Facebook. Ditto with Tumblr. I was perplexed. Where was this Pan-Africanism that African-Americans were so defensive of in the cultural appropriation conversation? In the Beyonce and Kendrick Lamar conversation? In the Afropunk conversations? 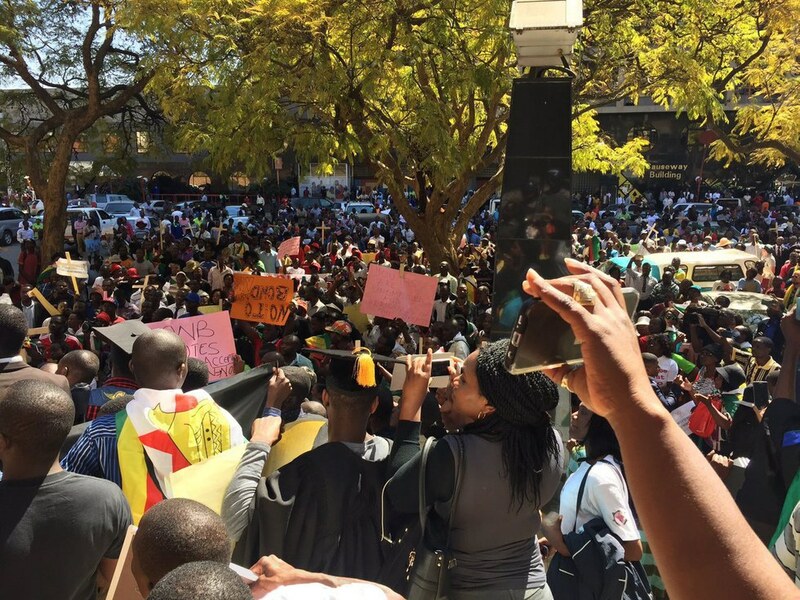 In the wake of all the solidarity received for the Black Lives Matter movement, where was the solidarity for Zimbabwe? Pan-Africanism is about more than just wearing kente headwraps and knowing a couple of words of Swahili. Pan-Africanism is about more than just the intellectual traditions of the 50s and 60s. Pan-Africanism is about more than just lip service. And while it’s spiralled into so many different tributaries and taken on many different meanings that we’re all still trying to figure out, showing up for each other is the first step. So if you’re willing to talk the talk, please be willing to take the first step with us.